The search continues in the Florida Panhandle following Hurricane Matthew. NBC6 Reporter Willard Shepard has the story. 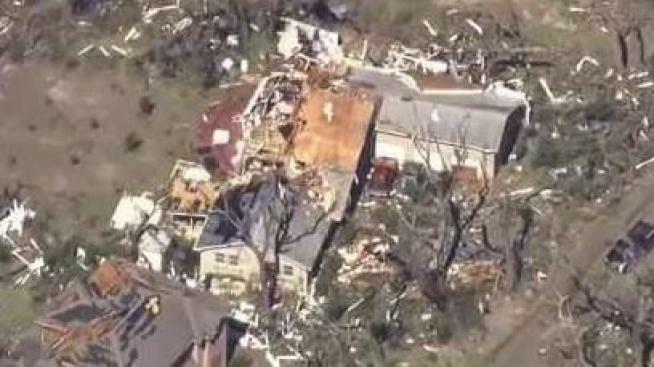 Rescuers intensified efforts Saturday to find survivors who might be trapped amid the ruins of a small Florida Panhandle community nearly obliterated by Hurricane Michael, where one body has already been recovered, tempers are flaring, and power could be out for weeks. Crews with dogs went door-to-door in Mexico Beach, pushing aside debris to get inside badly damage structures in a second wave of searches following what they described as an initial, "hasty" search of the area. About 1,700 search and rescue personnel have checked 25,000 homes, Florida Gov. Rick Scott said. Authorities say there is little doubt the death toll will rise from the storm, which made landfall Wednesday as a Category 4 hurricane with 155 mph winds (249 kph) and heavy storm surge. The tally of lives lost stood at 19, across the states of Florida, Georgia, North Carolina and Virginia. "Everything is time-consuming," said Capt. Ignatius Carroll, of the South Florida Urban Search and Rescue task force. "You don't want to put a rush on a thorough rescue." More roads were passable along the storm-ravaged coast as crews cleared downed trees and power lines, but traffic lights remained out and long lines heightened tensions at one of the area's few open gas stations. "I want you to get back in your vehicle and stop!" one woman shouted at a man accosting her as she tried to squeeze her car between two idling vehicles at a Panama City service station running two fuel pumps on a generator. "You're an idiot!" the man shouted back. About 4,000 members of Florida's national guard have been called up to deal with the storm, including 500 added on Saturday. Nearly 2,000 law-enforcement officials have been sent into the Panhandle. "Everybody just needs to help each other right now," Scott said after meeting with emergency responders in the Panama City area. "You feel sorry for people," Scott said. "They might have lost their house. They worry about their kids getting into school. You know, people don't sit and have a whole bunch of extra money in the bank just waiting for a disaster." "We're getting our stuff and we're going," said Jeff Pearsey, 48. "We're probably done with Panama City." Michael was one of the most powerful hurricanes to ever make landfall in the U.S. While most residents fled ahead of the storm's arrival, others stayed to face the hurricane. Some barely escaped with their lives as homes were pushed off their foundations and whole neighborhoods became submerged. "I lost everything," Morales said. "But I made it." How many others were not so fortunate was still not clear. By one count, state officials said, 285 people in Mexico Beach defied mandatory evacuation orders and stayed behind. It's unclear how many people stayed behind in nearby communities. One who did, Albert Blackwell, was preparing on Saturday to cover holes in the roof of his apartment and take a chainsaw to trees that fell and broke his windows just outside Panama City. "I'm the idiot that rode it out here in this place," said Blackwell, 65, sweat dripping from his face. He doesn't plan to leave; he wants to protect his home from looters. Emergency officials said they've received thousands of calls asking about missing people, but with cellphone service out across a wide area, they found it impossible to know who among those unaccounted for were safe but just unable to dial out to friends or family. Authorities have set up distribution centers to dole out food and water to victims. They've also set up a triage tent to treat residents stepping on nails and cutting themselves on debris. President Donald Trump announced plans to visit Florida and hard-hit Georgia early next week but didn't say what day he would arrive. On Saturday he approved federal disaster aid relief for four Alabama counties affected by the storm. Contributors include Associated Press writers Russ Bynum, Brendan Farrington, and Gary Fineout.